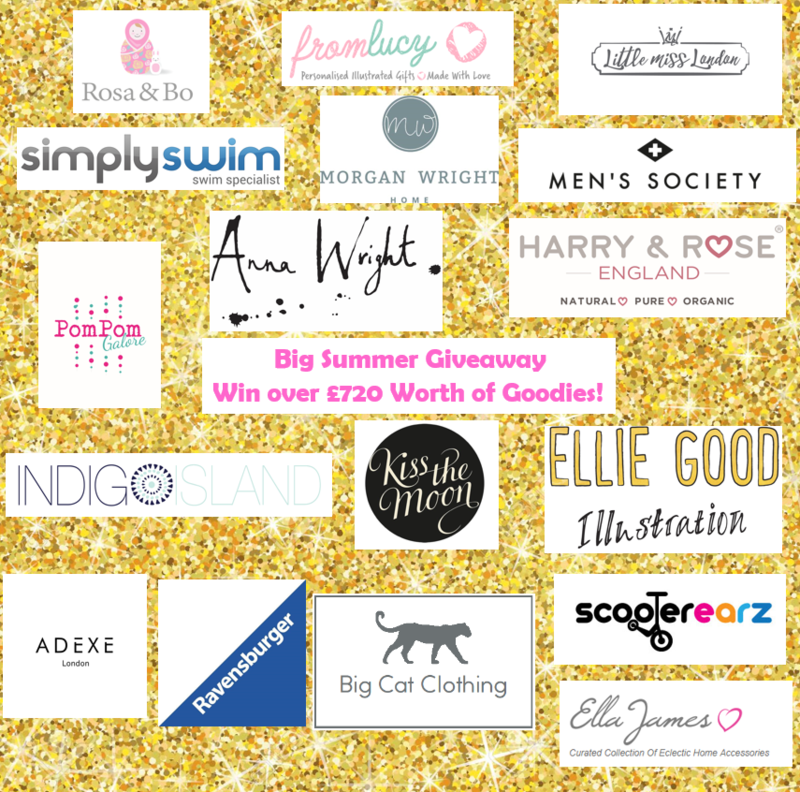 The Big Summer Giveaway – Win over £720 Worth of Goodies! Bonjour lecteurs! Hurrah for the Summer! The sun is out and some cool vibes are in the air! I was walking in our neighbourhood with Baba yesterday and we could hear all les familles having fun. Parties in the garden with a BBQ and the football… Happiness was in the air! I don’t know about you but when it’s a sunny day like that, I am such in a good mood! We had friends coming over and it was so nice to spend some time in the garden and relax. Let’s celebrate with a fab post. To say a big merci for all your support over the last two years that we have been sharing our adventures, we decided to spoil you with un post un peu spécial! Indeed, in our Big Summer Giveaway, one person will win all the items listed below. Oui! Oui! You are not dreaming! I said ALL. One winner will win EVERY SINGLE ITEM listed above! That’s 17 items in total and this bundle of joy is worth over £720!!!! Ready to play and win 17 fab prizes, just for you? Don’t forget to check out Facebook, Instagram and Twitter for extra entries! Once the giveaway is over, I will select one lucky winner out of one of the 4 platforms (blog or social channels listed above)! There is something for all the family here! Do you want all those items? Baba loves them!! 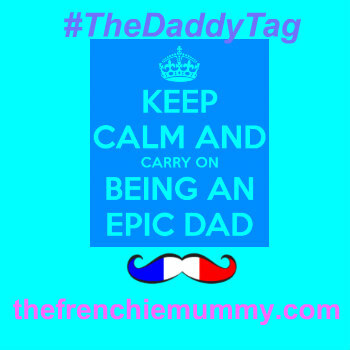 Go and give a follow to all those fab brands too! 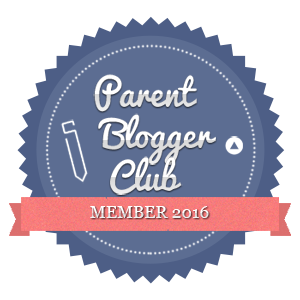 We are so proud to team up with them to bring you some fabulous prizes! Fancy all those amazing items worth over £720? Enter now via Gleam and remember we also have extra entries on Facebook, Instagram and Twitter! We will select 1 winner out of all the entries and only 1 person will win the 17 items listed above!!!!! This giveaway starts on Monday 25th June and ends at midnight on the 25th of July. Provision of the prize is the responsibility of all the brands listed above. Frenchie Mummy can’t be held responsible. Don’t forget to follow the brands on social media too. Disclosure: This is a sponsored post in collaboration with all the brands listed. Spending time in my garden, always plenty to do at this time of the year. I love spending Summer evenings by the sea. 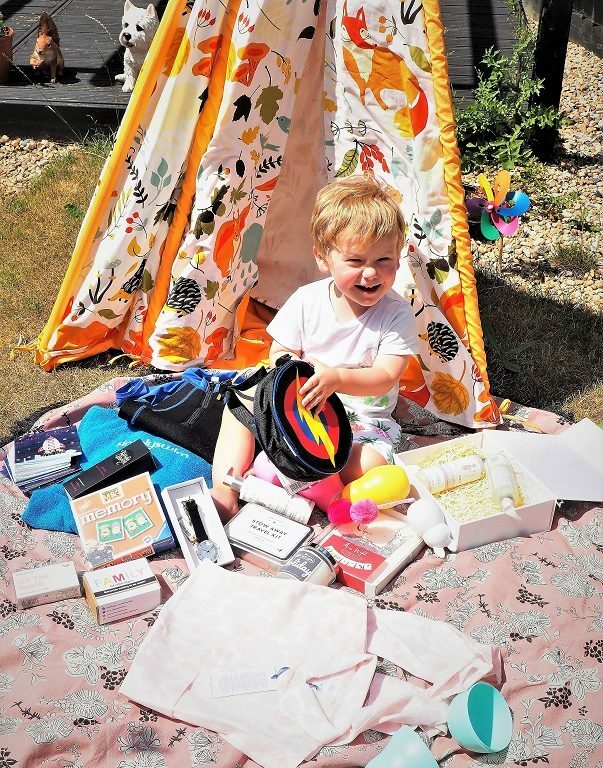 Summer means enjoying glorious, sunny Devon and this year we have our baby girl to enjoy the beautiful outdoors with. Cycling with my kids around our village and then chilling in our garden with a Pimms! Watching England winning the World Cup for the 1st time since 1966. Warmer temperatures and more quality time spent outdoors with the kids. I love playing with my little boy in the garden and going to the beach with him. Amazing prize!!!!!!!! Loving the summer nights, extra playtime with the kids, long evening walks, getting lost in the forrest, late BBQ’s, long days on the beach and watching the sunset! We love the summer 🙂 Love the blog! I like going out on my kayak. I love the faces of the little children, sun tanned and laughing with happiness at the long summer days now those winter days have gone…. Definitely the better weather, hate the cold so loving the sunshine! Just sitting in the sun, reading, perhaps a light breeze. Looking forward to water fights!!! Sitting in the sun enjoying the football! Having a bbq, paddling in streams and the sea with my kids. the lighter mornings, and hopefully some camping! The long and hot days of summer are such a joy. It never gets too hot for me. Spending time in the garden. The warmer weather and being able to enjoy being outdoors. Picnics and lovely trips out. Lots of trips to the park and the beach. Being able to spend lots of time outdoors. What a great giveaway! I love the summer because of the sunshine and ice cream! Getting out and about with my camera, and taking the grandchildren away. My face and listening to the birds singing . My favourite thing about summer is the sun! I have pretty severe psoriasis & the ONLY thing that helps is the sun. When the weather is warm and the days are long, I get to see and talk to more of my neighbours. I love the longer evenings, being able to go on long dog walks with my family, being more sociable by going out more and eating dinner outside! Also, as a teacher I have the Summer off work #perfect! ? The removal of my anorak. Love being able to sit outside in the evening after work and have your meal and a few glasses of wine. Getting out and about with my camera. Winter and dark nights really affect my mood – so I feel everything lifting a little when summer is on its way. Summer is a wonderful season – I love the longer days and spending time with the children and dog just messing about on and in the river! The beautiful sunshine, being in the fresh air, lighter evenings, everyone seems happier! Time pff work so I can spend more time with my family. What I like most about the summer is the different days out and activities you can do. I also like the fact that people are generally happier! The warm weather, sunshine, long evenings. Playing in the garden with family! The weather and my daughter’s birthday on the 23rd June ? This is my second comment because, for once, we are really having a summer here in Cornwall and it is fantastic to see so many families enjoying the beaches and festivities! I love the long, hot days and the freedom of the school holidays. I love that in summer everyone seems happier and friendlier. Flowers. So many, so pretty and so fragrant. Love them. Getting outdoors, fresh air and some exercise. I love spending time out in nature especially with my family. It encourages all to get out in the sunshine and appreciate our beautiful surroundings! I love the fact I get to book some time off work to spend time with my wonderful children. Lots of day trips and weekends away planned! I love booking some time off work to spend with my wonderful children. Lots of days out and weekends away planned! People just seem so much more relaxed….and if the sun is shining then all the better. It’s nice to chill at home or with friends at barbecues or picnics. Great fun for families and singles alike. Love having all the doors and windows wide open, colourful patio cushions making the garden look inviting and the house full of light and sunshine! Long may it last but with a little gentle drizzle overnight to keep the plants growing! I love the long days and walking in the park. Visiting the seaside, summer holiday & eating ice cream! Love waking early and being able to open all the windows and let the fresh air flow through the house. The long days, BBQ’s, salads, strawberries, rose wine and basically spending as much time outdoors as possible. I love summer because I can get out in the garden and plant my fruit and vegetables! I love growing my own produce and have a huge vegetable patch. wow brilliant I’ve had that much bad luck of late it can only get better fingers crossed I win this one?????????? I love that I can take my son out for fun days out and we can enjoy activities in the sunshine. Having all the family over for barbecues. I like that its light and warm enough for us to go out for a walk in the evenings. Everything!!!! I love the warm days, sunbathing, swimming in the sea, family holidays, long nights, summer clothes, summer fruits…. My favourite thing about summer is the warmer days and longer nights! I love the summer sun! Looking out of the window and seeing blue skies from 4.30am until 9.30pm. Lovely! Spending unhurried time with my child and no more school runs. I love the smells of summer, cut grass, flowers, fairs! The nice summer weather seems to make people happier, nicer and less stressed. Nature and the beautiful flowers! I love gardening so summer brings out some fantastic colours! Days Out. Having a meal outdoors, etc. My favourite thing about the Summer is spending time with the children and my husband, seeing family and travelling around a little more. I also love the scent and colour of the flowers in the garden and the peppers and tomatoes in the greenhouse. Im just such a lover of the warmth and hanging out in the garden…. Lighter nights mean kids can stay out longer in hopefully drier weather. I love the warm and light days most about the Summer. Lazy days in the garden! I love that I can sit outside and watch all our bunnies play in the summer sun. So lovely to see everyone enjoying our local beaches. Wall to wall happy Families! I enjoy playing outside with my toddler. It’s nice to get out of the house as much as possible. The smell of summer. The gorgeous flowers and the sun shining hopefully. The long summer evenings and sipping cocktails outside our favourite bar. Not having to take a jacket with me when I leave the house. I love spending time with the kids when they’re off school and I’m not working. I love the sunshine and the summer fruits and vegetables freshly picked from my garden! I love going for picnics in the peak district and splashing about in the ankle deep rivers. Bliss! I love seeing the sun and the warm weather of the summer! Especially this year! not having to set the alarm clock. Summer is my favourite season. I love the long, lazy days, the gorgeous weather & spending loads of time outside with my little ones. The summer holidays! Spending quality time with the children….. nature walks, cinema trips, park, safari park, zoo, garden fun! I love watching all the flowers bloom in my garden. Being outdoors so much more, feeling the warmth of the sunshine and gardening! Spending so much time with the family, and this year the wonderful heatwave! Getting out more! There’s nothing worse than being stuck inside! Being able to sit on my swing seat in my garden reading. 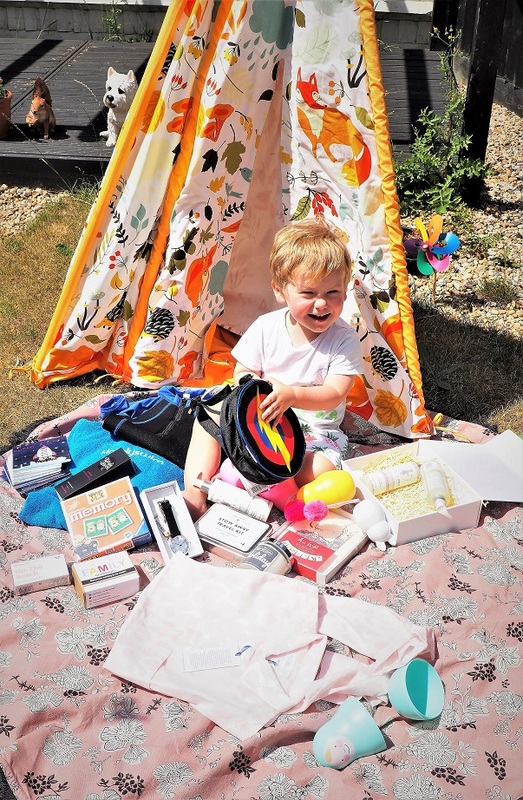 Previous Previous post: Living Arrows 26/53 – Ready For the Summer Holidays & Win a Trunki!